Tobe Hooper is one of those directors you either love or hate. Personally, I love him. I even met the guy once, sometime back in the late 90's at a special 35mm print screening of his seminal classic Texas Chainsaw Massacre at the Alamo Drafthouse in Austin, TX one Halloween. Super nice guy. I've always admired his style of directing, even if I didn't necessarily like the film very much. His sequel to his classic TCM is a perfect example of that. Hate the film, but love the way it looks. Of all the films he's made, and of all the ones I love from his filmography, the ones I love the most would have to be 2 he did under his Cannon Films contract, Lifeforce and Invaders From Mars. We all know the story behind Lifeforce, so I won't bore you with that. But I will tell you that I love this batshit crazy film to death. However, I never really liked the VHS releases we received here in the states much. 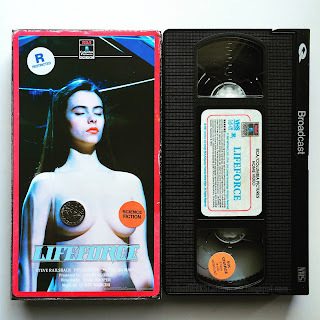 As much as I like collecting tapes, the Lifeforce releases never appealed enough to me as a collector to actually grab. I've always found the poster and VHS cover art for the U.S. releases quite bland and uninspiring. Not to mention they say absolutely nothing about the actual film. In fact, they're not very accurate representations of the actual film. But I've always loved the RCA Home Video releases. I love that red border, and the specific font they use on one side of the slipcase sleeve. So when I came across someone who brilliantly married these two things I love so much in a custom bootleg, I just had to have one. His name is Tom Fury, and he's an avid collector as well. And apparently, very talented. One of the things I liked about this was that he went the slipcase route rather than the clamshell case like most people do. It's a much harder job and considering he didn't use cardboard, but rather brochure paper, which still holds strong and durable, it's damn near impressive. Not only did he do a bangup job on the sleeve itself, but he also took the time on the actual tape by creating an RCA label. 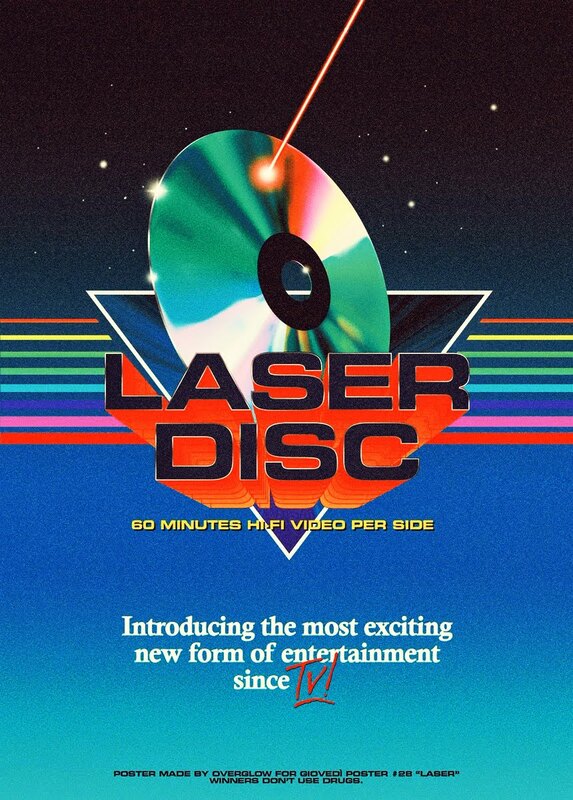 Then he used a Widescreen Laserdisc for the transfer source, which just makes it all the more amazing since this never got a widescreen release on VHS. He also custom made random stickers to put throughout the box at your discretion, to give it that authentic worn look and feel - like it's been rented many times over many years and it has a history. What is impressive about the tape itself is that it's a good quality weighty tape, and heavy. Not the cheap stuff. He really went all out on this thing, and followed the same rules that they utilized with all of their home video releases in the 80's. One of those being the two different fonts they use on each side of the spine. On the left side they would always use their trademark font for every release, in bold white set against a black background. On the right it would be a different font, the one used for the marketing of the actual film, or sometimes they would come up with a brand new unique one just for the release. 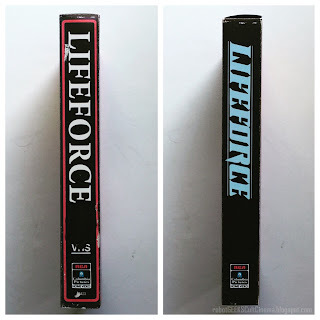 So whichever way you end up displaying this on your VHS shelf, you'll get a stunning spine regardless. I have to admit that I feel insanely lucky to have gotten one of these, as he only did an extremely limited run of 5, with no plans to do anymore. He is, however, working on his next boot (when time permits), which will be on the severely underrated Tom Cruise flick Edge of Tomorrow. One of the things I love about collecting bootleg tapes and some within the bootleg community is that they don't do this for money. At all. There is no money in it. It's about the love of VHS art, and sharing that with other collectors who appreciate it. 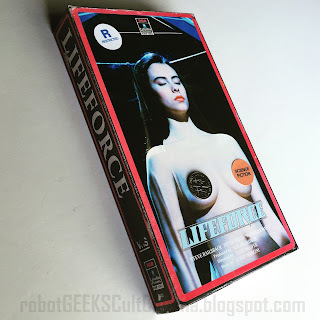 Something like this, releasing Lifeforce in a standard RCA Home Video slipcase may not seem like a big deal to most people, but it's a huge deal to nerds like myself, who randomly wonder "What If?" certain titles of our favorite films were released in a better packaging from a different label rather than the one's we were dealt with.